The Sidmouth Letters is a collection of eleven short stories. It’s a short book of just under 150 pages, so it doesn’t take long to read the whole book. With a collection of short stories I tend not to read from the start to the end, picking and choosing which ones to read, but with this one I read the stories in the order they are in the book. I was glad I did as I think the last one is the best. The stories are nicely varied in style and content with convincing and authentic characters. I liked some more than others. The first story is ‘The Tribute’, a perceptive and amusing study of a trio of Kensington widows exposing their small-minded attitude to a former nanny, when they receive news of her death. I wasn’t too keen on ‘Lychees for Tone’. It is written in the present tense, which I find irritating. A lonely mother lives with her son. As she waits for him to bring home a new girlfriend she ponders what she will be like and her isolation and prejudices become apparent. I thought the ending was disappointing with a predictable play on words. ‘The Great, Grand, Soap-Water Kick’ is a story about a tramp, Horsa looking for a house in which he can have a bath, which only happens every second year or so. You can imagine the state he is in and the state of the house by the time he has finished. I liked the idea and the structure of the story. Although I liked the imagery and the style of writing does reflect the character, I found it jarring and disjointed. But then I don’t think you’re actually meant to like Horsa. Ringsgainturns look updown. Not living soul. Not motor car. Not bike. Only cat gatepost watch through yellow slits. Cat stands, stretches on four fat sixpences, turns round, curls upgain, goes sleep. In ‘Hetty Sleeping’ a married woman on holiday with her two children meets a former lover, and wonders what her life could have been like. In ‘Transit Passengers’ two young students are leaving Greece and go their separate ways. Will their love survive, or is it as transitory as their journey? ‘The Dickies’ are a married couple. Mrs Dickie is neurotic and has to suffer her husband’s infidelities. All is not as it seems, however. I particularly liked ‘A Spot of Gothic’. A young army wife living in the remote countryside is driving home alone late one night when she encounters a woman standing in her garden waving to her. It’s the loneliest part of the road and she is shaken and frightened at the sight. She wonders if she saw a ghost. When she returns to the road the next day she feels she is being watched and sees a woman who asks her the time and walks away, leaving the young wife feeling terrified: ‘The dreadful sense of loss, the melancholy, were so thick in the air that there was almost a smell, a sick smell of them.’ Who has she seen? The last story ‘The Sidmouth Letters’ deals imaginatively with Jane Austen’s love life. Annie meets a former professor who had claimed credit for her work when she was a student. He has discovered that love letters, supposedly written by Jane Austen have been found and he sends Annie off to Sidmouth with instructions to buy the letters. The story reveals how Annie gets her own back on the professor. The question is – did Jane Austen write the Sidmouth letters? This story was the reason that I read the book and it didn’t disappoint. You’ve shared just enough of each story to whet my appetite. I agree with you, the last one sounds the most promising. I’m going to look into this book. You must, I repeat, must, read Captain Corelli’s Mandoline. I totally understand that you wouldn’t read it after such a bad film. The novel is fantastic.This collection of short stories sound good. In March next year an anthology ‘A Woman’s Guide To Saving The World’ will be launged. I contributed with several other writers. Middle Ditch was born there. I don’t get on very well with short stories, but i am a great fan of Jane Gardam so her new collection has just arrived from the library. I’m hoping she will help me find a way into this genre. Thanks for your comments.I don’t read short stories very often, as I’m a bit like you Ann. 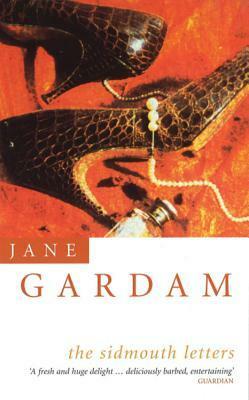 Jane Gardam impressed me (I hadn’t come across her before). I’ve just been to the library and found one of her books – Old Filth. I shall look out for more. I think her best is ‘Queen of the Tambourine’. You start off thinking it’s very light-weight and then gradually the full force of what she’s saying hits you. It’s magnificent. I’ll have to add this one to my short story list–I am finding that I actually like collections of them! Next Next post: Cranford TV Drama or the Book?